Have a hankering for marshmallow, graham cracker and chocolate? You're in luck. 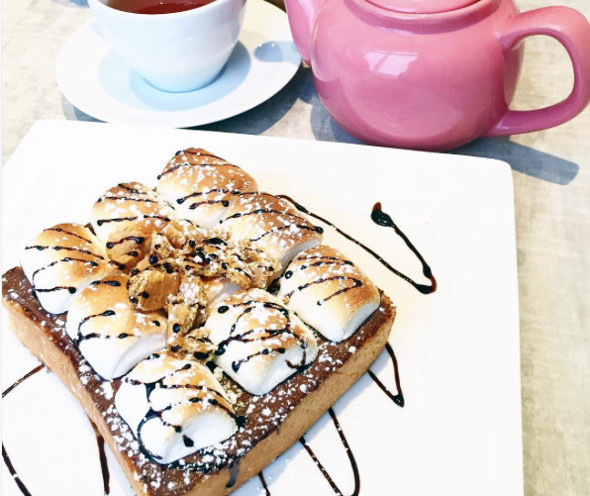 Some of Toronto's best bake shops, ice cream parlours and restaurants have made some epic creations to satisfy your cravings for s'mores. From lattes to pancakes, these sweet treats will have you screaming for more. 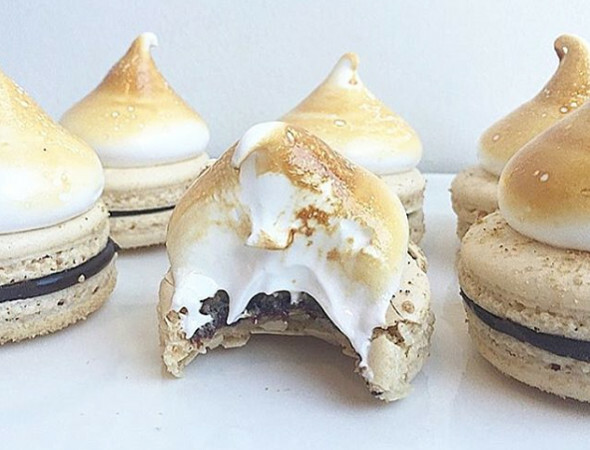 Here's a round-up of epic s'mores offerings you can eat in Toronto right now. S'mores bars are a staple at this Little Italy bake shop. These morsels of deliciousness get toasted to order and can also be layered with peanut butter. 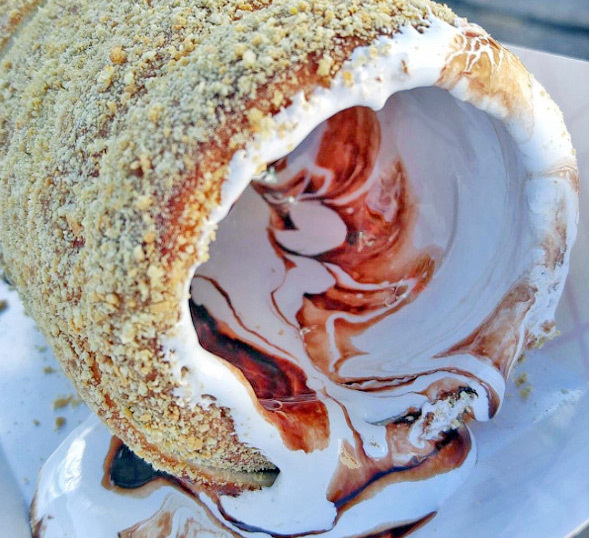 S'mores takes many forms at this soft serve parlour. 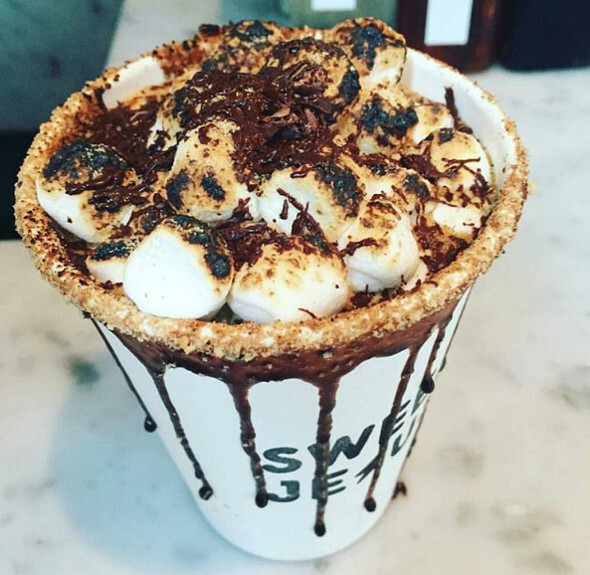 If ice cream ain't your thing opt for the S'mores Latte which is complete with roasted marshmallows on top. One of Toronto's chimney trucks has also gotten in on the s'mores craze. Graham cracker, marshmallow fluff and chocolate fudge are loaded into a Hungarian pastry. If you love waffles then this Vaughan eatery is for you. 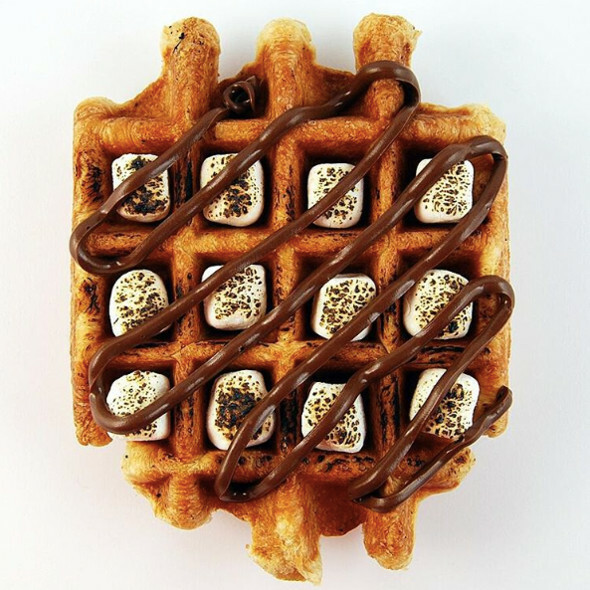 They specialize in LiĂ¨ge waffles and their It's Been a Long Day creation features roasted marshmallows and Nutella. Ever had s'mores toast? Now you can at this Markham dessert cafe. Sliced toasted bread gets perfectly coated with chocolate, roasted marshmallows, graham cracker and a chocolate drizzle. If you visit this Queen St. restaurant for brunch you'll be able to get your hands on these flapjacks. 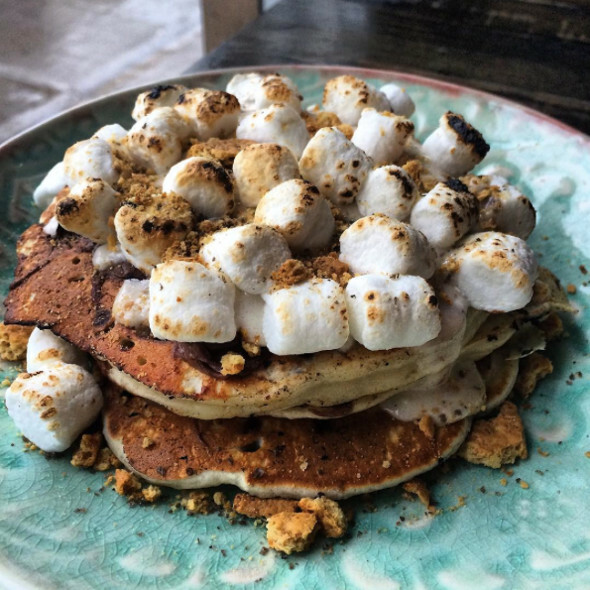 Pancakes are stacked high and topped with roasted marshmallows, graham cracker crumbs and chocolate. While the The Rolling Pin may best be known for their doughnuts they certainly do make a mean macaron. A special at the shop is their s'mores macaron which comes complete with torched marshmallow on top. What did I miss? Add your favourite s'mores treat in the comments. Photos by @sweetjesus4life, @theeverydayfoodie, @waffleu, @bakeshoppeto, @musteatmore, @fidelgastros, and @therollingpinto.